By creating this new look and feel we helped make our client’s employee communications more engaging and effective. 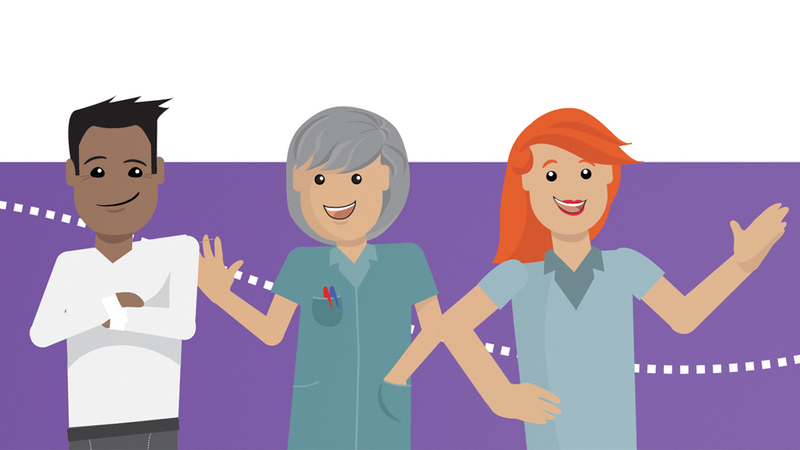 With 350 care homes across the UK, the company wanted to demonstrate the importance of their staff in delivering high-quality nursing, residential and specialist dementia care. It was also important that employees were engaged with the company’s new brand to ensure message consistency. 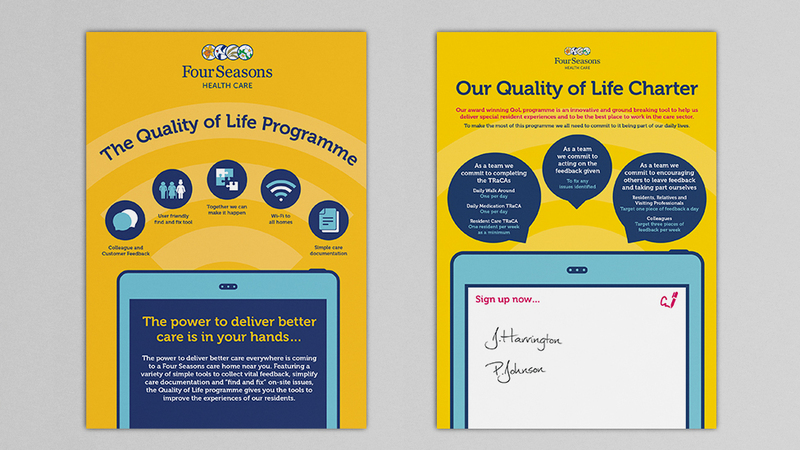 To help activate various schemes our client was supporting, such as their own Quality of Life Programme, and nationwide drives like the Care Home Assistant Practitioner (CHAPs) initiative, Four Seasons asked us to rethink the design of their employee communications. Four Seasons wanted to demonstrate that they care about their staff as much as they care about their residents, so updating their internal communications played a vital role. We revitalised a whole host of employee communication tools in line with Four Seasons’ renewed energy and drive – emails, newsletters, posters, brochures, leaflets, hanging signage, commendation certificates, and even Thank You cards and footsteps on the floor of the homes that lead to ‘feedback areas’. 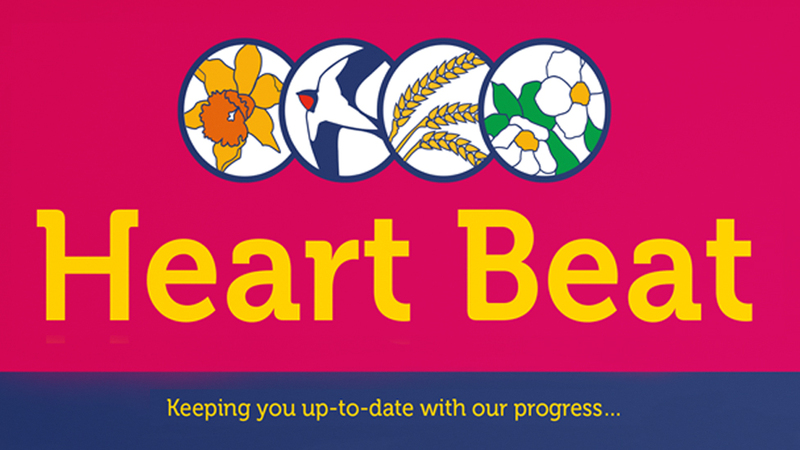 Embracing their new brand, the new employee communication tools are fresh and inspire active participation, whether to improve residents’ lives, motivate colleagues into action, or celebrate their achievements. 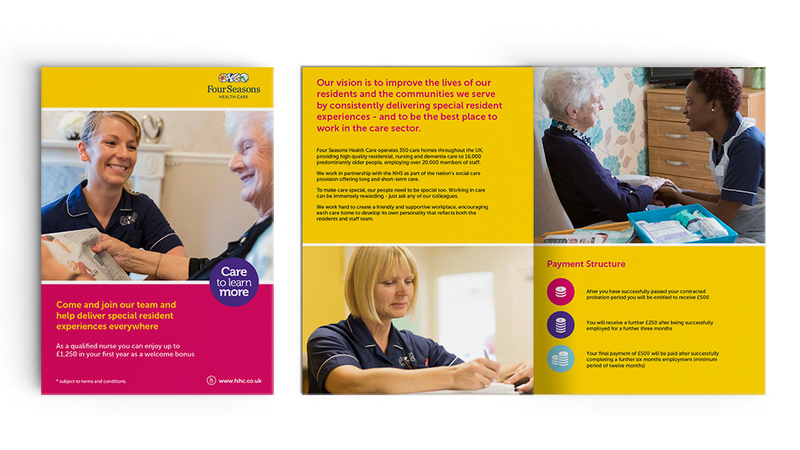 Peppered with visual devices, a friendly rounded font, bright colours, and friendly and positive photography that wouldn’t be out of place in an album, the materials are full of the energy and initiative the care homes are praised for. Feedback from our client has been extremely positive, really happy that the employee communications capture the energy and passion of every single member of staff in their care homes.